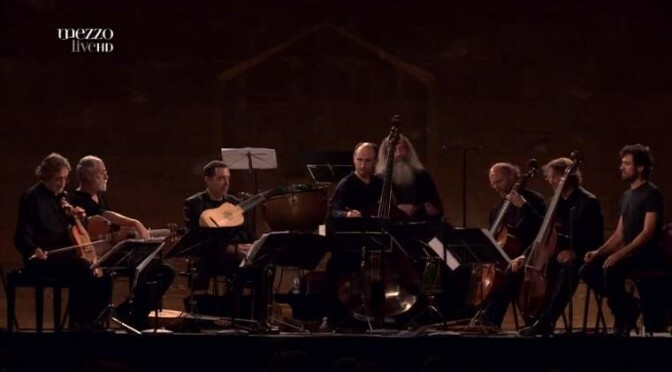 Conducted by Jordi Savall, international early music ensemble Hespèrion XXI and the orchestra with period instruments Le Concert des Nations perform Messe et motets pour la Vierge (mass and motets for the Virgin) by Marc-Antoine Charpentier. Recorded at the Le Chateau de Versailles in 2004. Directed by Olivier Simonnet and broadcast by MEZZO. 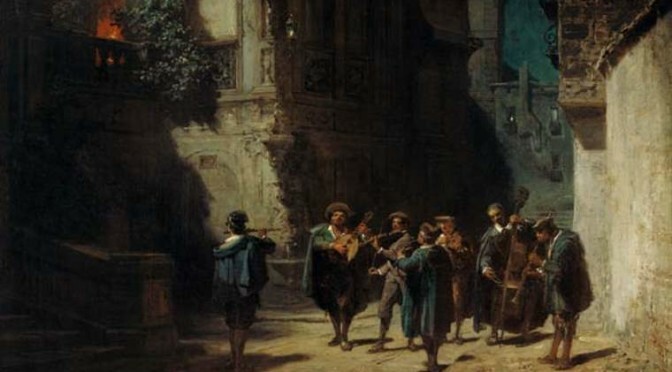 Conducted by Jordi Savall, Le Concert des Nations ensemble plays Wolfgang Amadeus Mozart’s Eine kleine Nachtmusik (Serenade No. 13 for strings in G major), K. 525, a 1787 composition for a chamber ensemble. Johann Sebastian Bach’s “Mass in B minor, BWV 232”, a musical setting of the complete Ordinary of the Latin Mass. 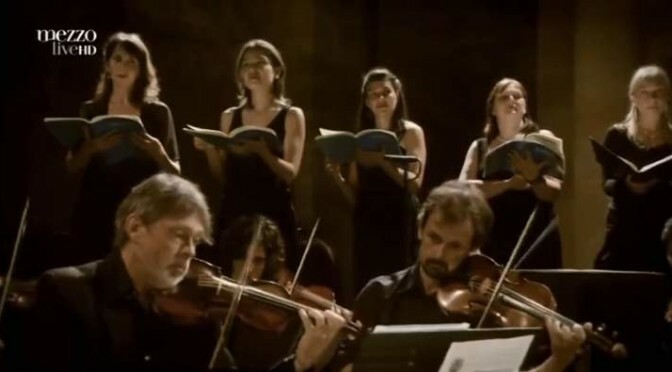 Le Concert des Nations & La Capella Reial de Catalunya; conducted by Jordi Savall. 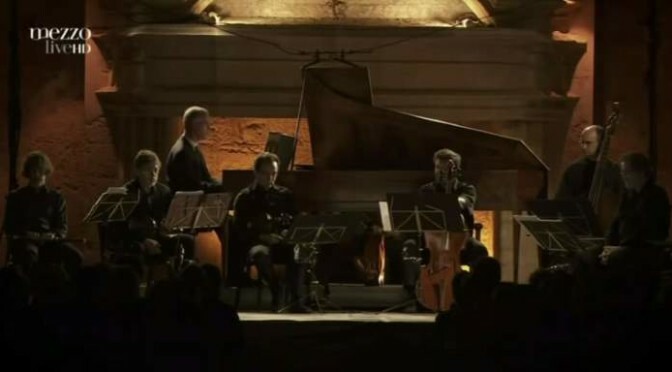 Recorded at the Abbaye de Fontfroide, Narbonne on July 19, 2011. 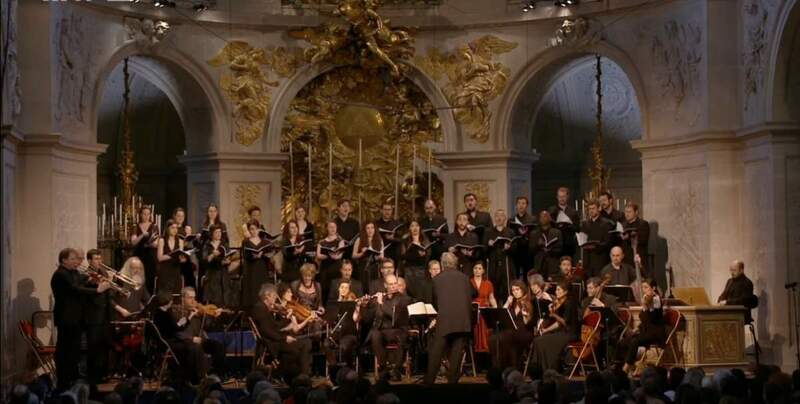 Johann Sebastian Bach’s The musical offering, BWV 1079, performed by Le Concert des Nations, an orchestra with period instruments. Conductor: Jordi Savall.